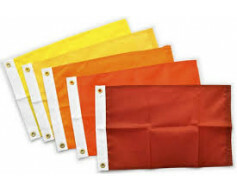 Single thickness nylon wave flag. 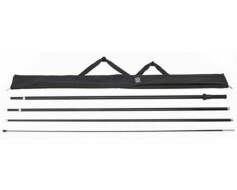 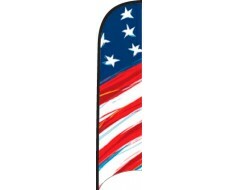 Curved sleeve is made of a durable canvas type material for mounting to a wave pole. 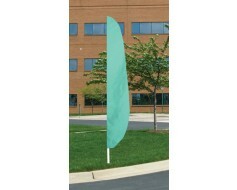 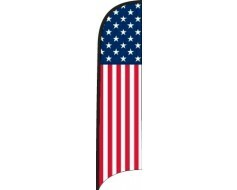 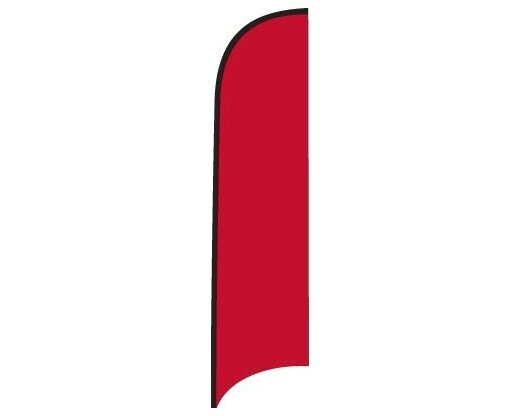 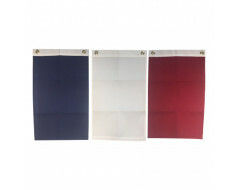 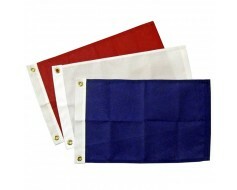 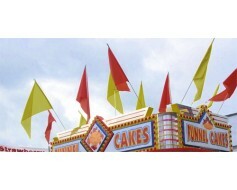 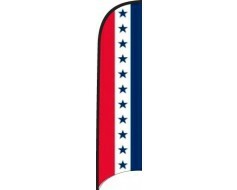 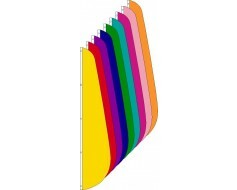 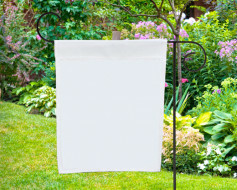 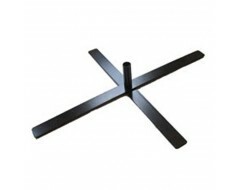 Wave flag sizes are measured when mounted to the pole (sold separately). 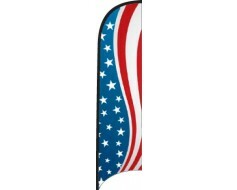 The banner isn't the full height shown below.